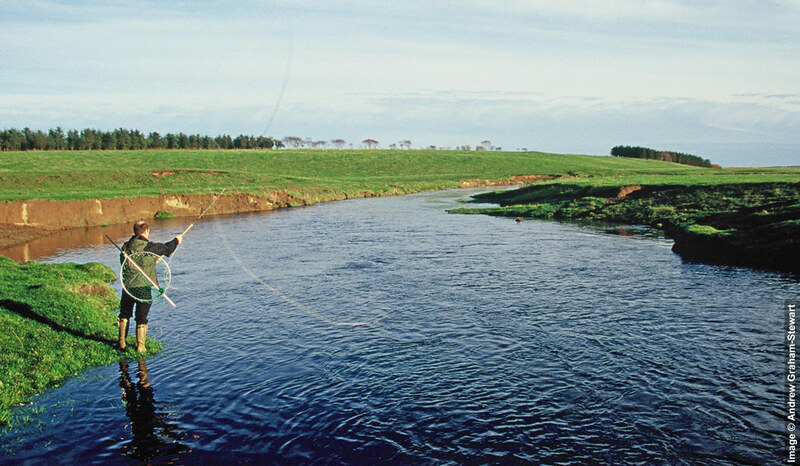 The Wick River is an unusual Highland salmon river in that its entire length of 10 miles, is controlled by Wick Angling Club, and fishing is available throughout to visitors. The Wick river rises from an area of peatland to the north east of Stemster Hill, less than 200m above sea level. From there it flows north to Watten, then south-east to the coast. Despite its gentle descent and slow flow it is a spate river, and although very productive, it is essential to fish it after rainfall to enjoy success. Approximately 10 miles of double bank fishing and 50 named pools. Permits £30/day, £120/week from Hugo Ross Tackle, Wick. Tel: 01955 604200. The River Thurso’s source is in a large area of peatland or blanket bog, part of the ‘Flow Country’, to the south and south-west of Loch More. 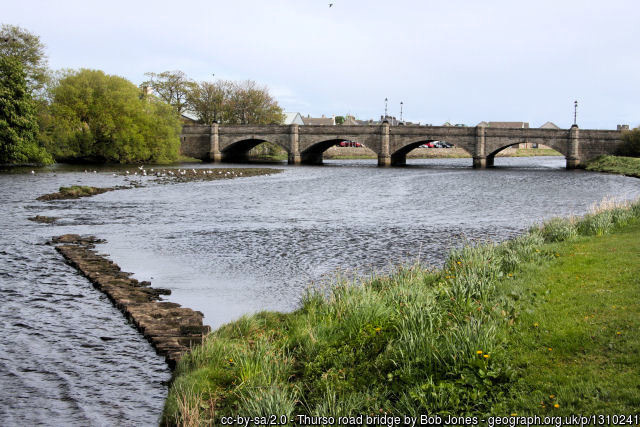 From the loch, the Thurso runs for approximately 26 miles to the north coast at the town of Thurso. 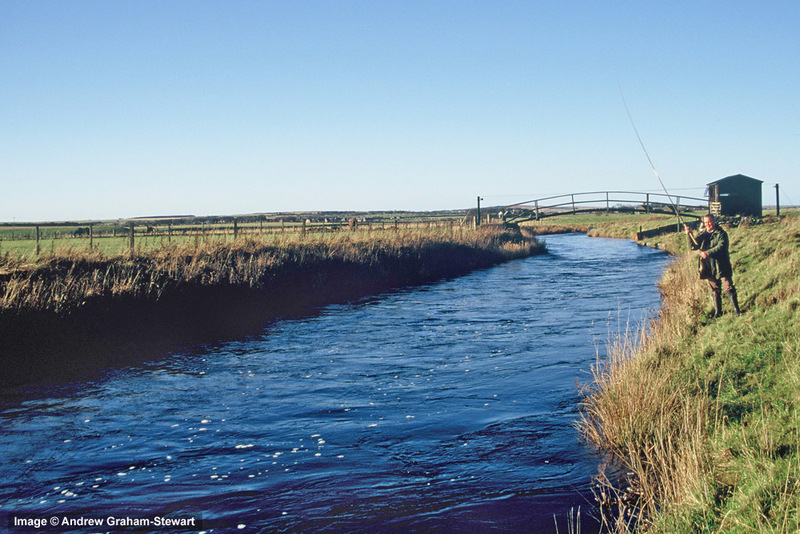 The Thurso is one of the best salmon rivers in Scotland producing around 1700 salmon/year. 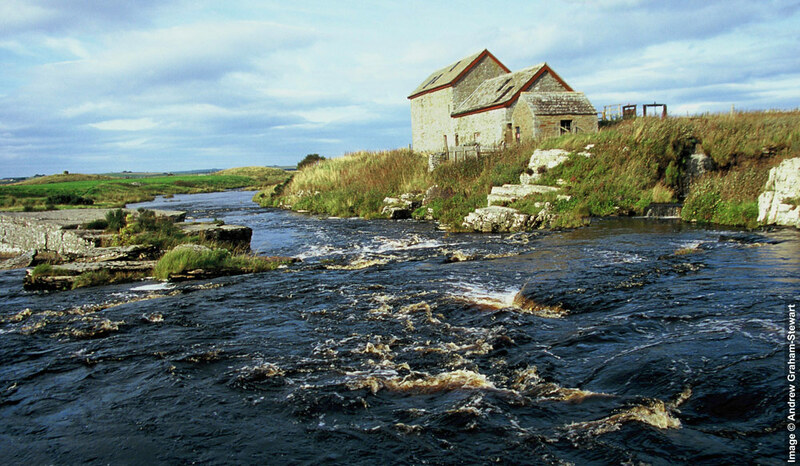 The River Thurso is split into 13 beats, 12 of which are controlled by the Thurso River Ltd, and let as advanced weekly lets. The success of the river in recent years has meant that there is rarely any fishing available on these private beats. The lowest beat (Beat 1) is controlled by local anglers and members of the Thurso Angling Association, who also make some fishing available for visitors. Two and a half miles of double bank fishing, partly tidal. Permits £40/half day from Atlanta Sports, 31 High St., Thurso. Tel: 01847 895846. 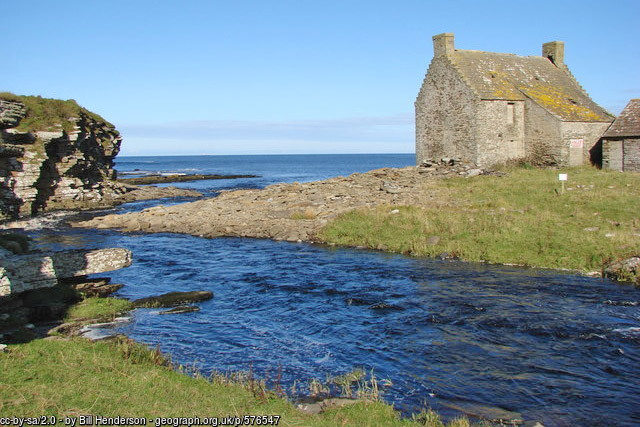 Forss Water is a small spate river flowing north for about 8 miles from Loch Shurrery, entering the sea 5 miles to the west of Thurso. All of the fishing is private, the lower part of the river being the Forss House Fishings, a timeshare. Although full weeks occasionally become available for rent, there is no access to the river for day tickets.